The Miss World Philippines organization crowned four new queens on October 7, 2018 at the SM Mall of Asia Arena in Pasay City, Metro Manila, Philippines. One of the 17 judges during the coronation night was reigning URCC Global Featherweight Champion Mark “Mugen” Striegl, 30, of Baguio City, Philippines. Born in Japan to an American father and a Filipino mother, Striegl has been residing in Baguio City since 2011. He frequents Metro Manila for mixed martial arts and modelling purposes. This is the first time the Filipino-American mixed martial artist and model served as a judge in a national beauty pageant. Like him, some of the 40 Miss World Philippines 2018 candidates are Filipinos of mixed race. “Thanks for having me as a judge, Miss World Philippines!” Striegl said. 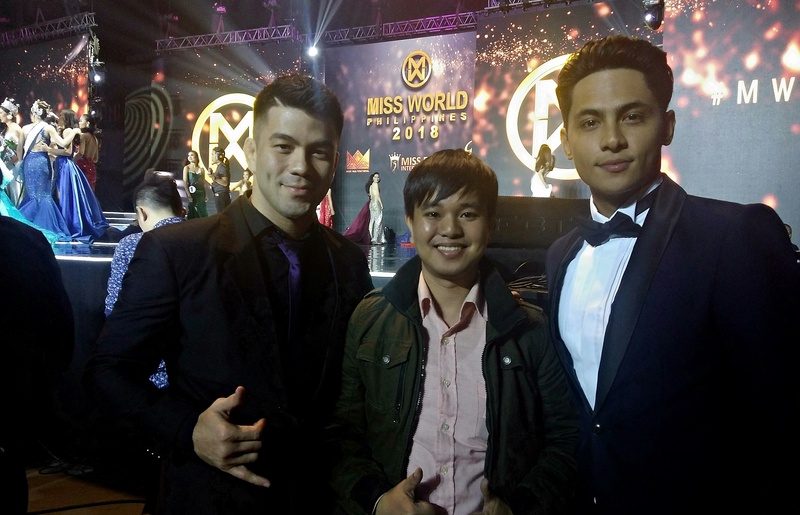 Among his fellow judges at Miss World Philippines 2018 coronation night were Kiko Estrada, General Ronald “Bato” de la Rosa, Miss World 2013 Megan Young, 28, of the Philippines, Miss World 2016 Stephanie del Valle, 21, of Puerto Rico and reigning Miss World 2017 Manushi Chhillar, 21, of India. Winning the top crown as Miss World Philippines 2018 was Katarina Rodriguez. She was crowned by Miss World Philippines 2017 Laura Lehmann, who was one of the quarter-finalists of Miss World 2017. Reina Hispanoamericana Filipinas 2018 Alyssa Muhlach Alvarez was crowned by Reina Hispanoamericana Filipinas 2017 Teresita Ssen Marquez, the reigning Reina Hispanoamericana 2017. Miss Eco Philippines 2018 Maureen Montagne was crowned by Miss Eco Philippines 2017 Cynthia Thomalla, the reigning Miss Eco International 2018. Miss Multinational Philippines 2018 Kimi-Lei Mugford was crowned by Miss Multinational Philippines 2017 Sophia Senoron, the reigning Miss Multinational 2018. Mugford entered the Top 16 as the Fast Track sports competition winner and the presenters of her award were Striegl and PBA player David Semerad. The Miss World Philippines 2018 coronation night took place a week after Striegl was crowned the new URCC Global Featherweight Champion. On September 29, 2018, he dethroned defending champion Do Gyeom “The Undead” Lee, 27, of South Korea in the main event of “URCC: Colossal” at the Araneta Coliseum in Cubao, Quezon City, Metro Manila.